When I got my hair cut in a bob I absolutely loved it. I was a bit hesitant at first to do a drastic cut of going from long hair to barely being able to curl the back but it was one of the best cuts I have ever had. Since then I have decided to grow my hair back out so now I live vicariously through my client's hair. This client in particular is one whose hair I love to cut because this is the exact way I would cut my own hair if I decided to ever cut it again. 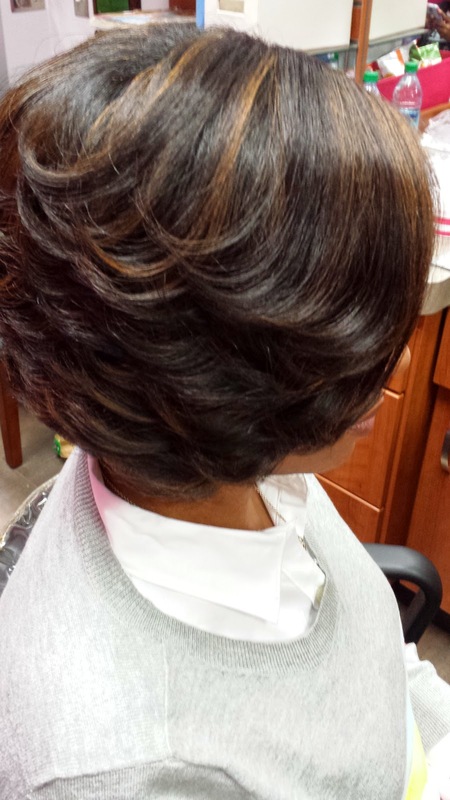 She has a bob cut into lots of layers. This is also one of my favorite cuts because it is so easy to maintain. Not only that, the dryer time is so much shorter! To take care of this, all she has to do is wrap her hair every night (see how to wrap below). She does not need to add any additional oil to her hair either. No moisturizing and sealing required! 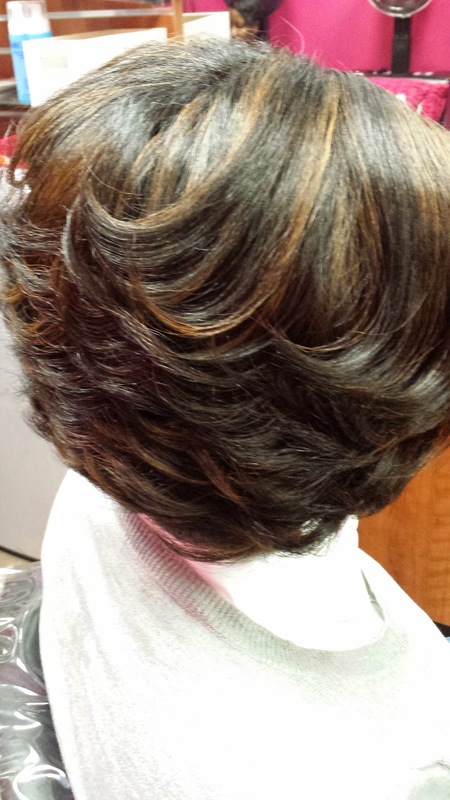 This client is somewhat transitioning. 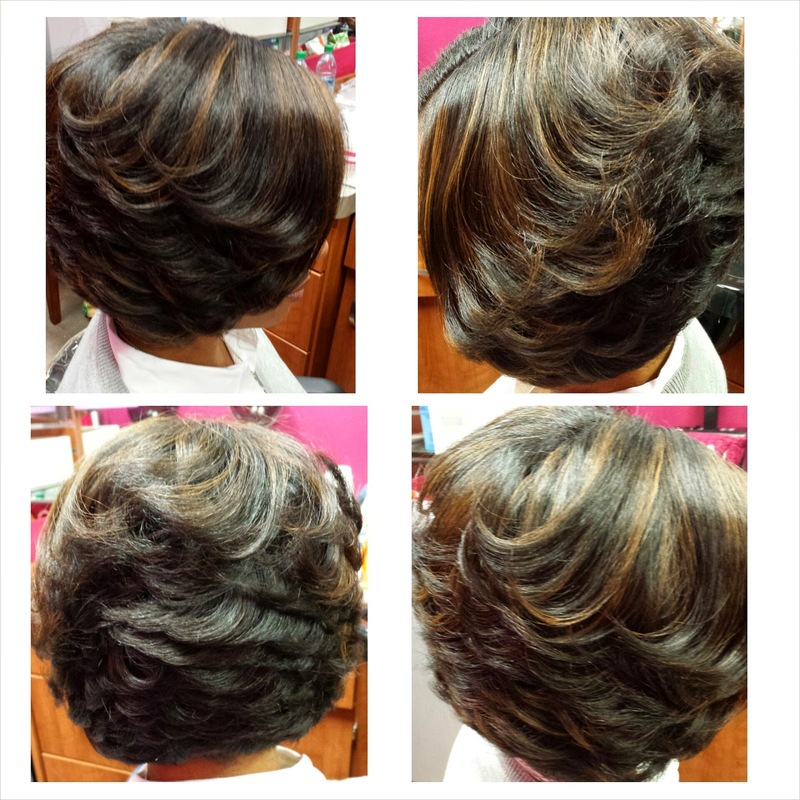 She had a relaxer and currently has much more relaxed hair than natural, but the texture of her hair really does not require her to have a relaxer to have straight hair. Her hair has more of a wavy pattern and her curl is not very tight at all so she really could go either way. 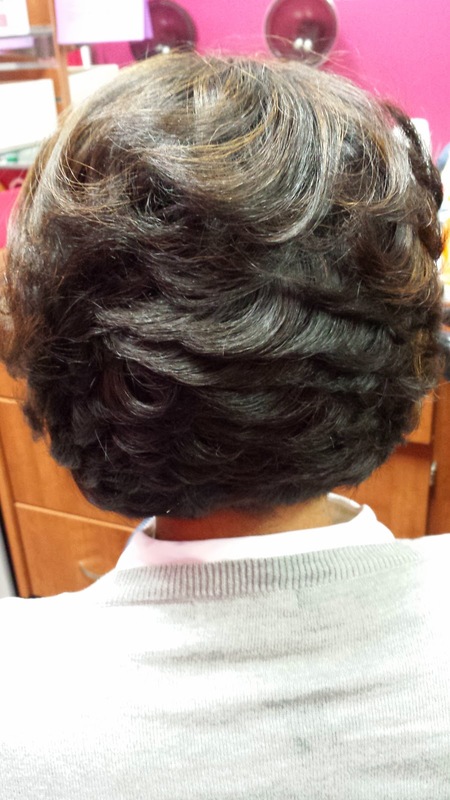 The benefit of her relaxer is no frizz and not having to be concerned with puffing up whenever it is humid. 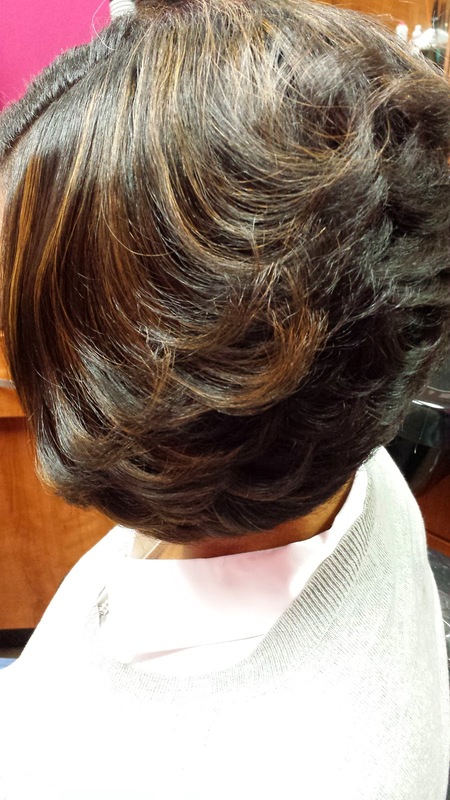 She is not really 100% committed to ditching the relaxer just yet, so she may decide to just continue to stretch.